With the Jamboree fast approaching we have now been given the plans for the whole trip. We will be leaving the UK, flying from Heathrow to New York on Saturday 20 July where we will stay the night at a local university along with the whole of the UK contingent. The following day we get to enjoy a day in New York city before starting our 11-hour coach journey to the Jamboree site in West Virginia. Thankfully we do get to break our journey with a stop at another university for the night. 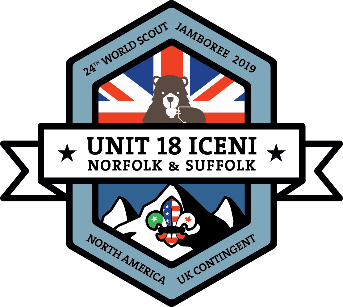 Following the 12 day Jamboree experience we will then make our way to Washington DC for 3 nights, where the Explorers will get to spend time in the capital before we start our Hosted Hospitality which will be with a scout group in Canada, we are all very excited to find out exactly where we will be going and to experience Canadian Scouting. Over the last few months the young people have continued to work hard on their fundraising and have been setting themselves six personal development goals. They have also had the opportunity to earn a special challenge award by organising and running a training camp, which they did in December. 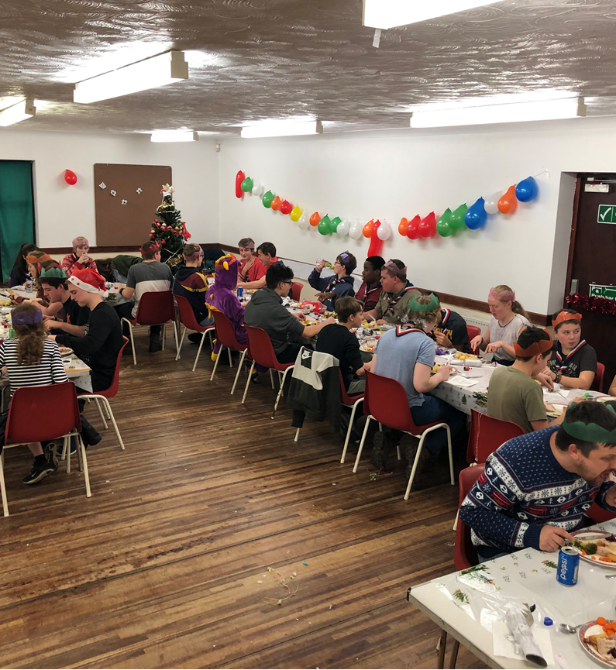 The camp was a great success, the young people decorated the Bidwell centre for Christmas, cooked a great Christmas dinner, although they did forget to cook the pigs in blankets, organised a campfire, secret Santa, mocktail bar and evening entertainment. The next morning, they were up cooking American pancakes and sausages, from the unused pigs in blankets, before having a climbing session and cleaning up. The whole unit has really come together and its hard to remember who is from Norfolk and who is from Suffolk. Last weekend we all attended a First Aid course which will allow them to complete module K if they are young leaders and to gain their stage 5 Emergency aid badge. 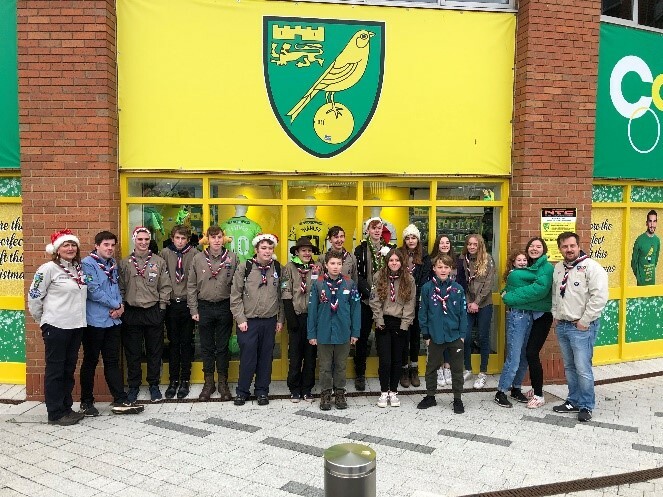 Leading up to the jamboree they will be taking part in the BPA, attending Revolution, a Network and Explorer camp on the Isle of Wight at Easter before their final training camp in Sudbury in June.